107 N Kimberling Drive, Moore, OK.| MLS# 862268 | Oklahoma City Real Estate | Apple Realty, Inc. 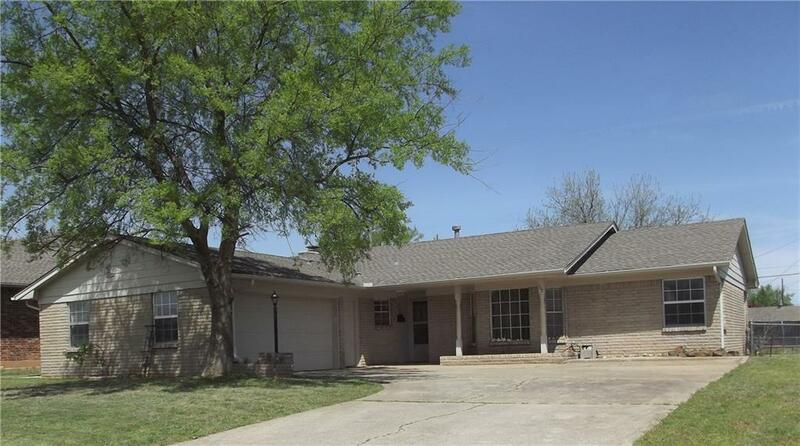 This spacious home situated in a quiet neighborhood could be a 3 bed with playroom/office or 4 beds. It features two full baths (master with shower), and storage galore with built-ins. The living room boasts a wood burning (gas start) fireplace surrounded by built-in bookshelves/cabinets. The kitchen features a breakfast bar, built-in stainless double oven, stainless dishwasher and smooth cooktop. Beautiful built-in china hutch in the spacious dining area which is open to the living and kitchen. Enjoy your summer in the large backyard with the above ground pool and open patio.